Does your school celebrate the 100th Day of School? In Kindergarten the kids each get to come up with a 100 Days Project, anything that has 100 items. 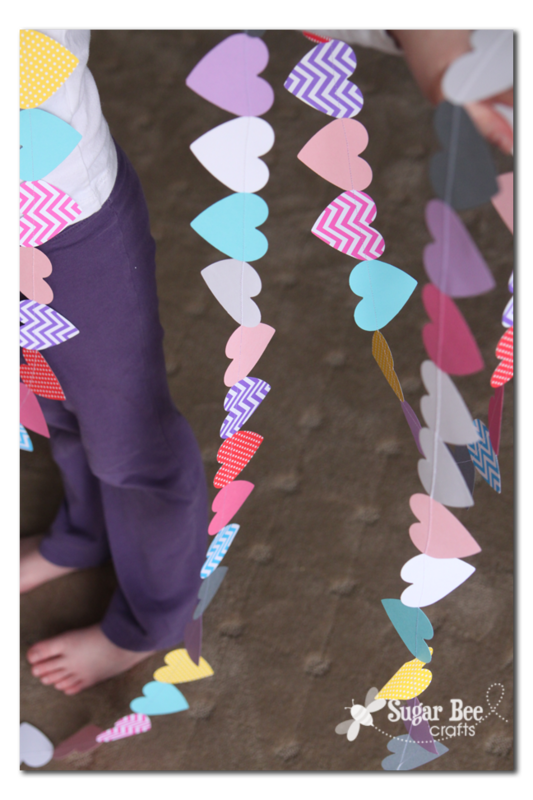 This week marked the 100th Day of School for our kiddos – – maybe you’ve already past that milestone, but if not, here’s a fun idea for a celebratory project – heart garland! This post may contain affiliate links. 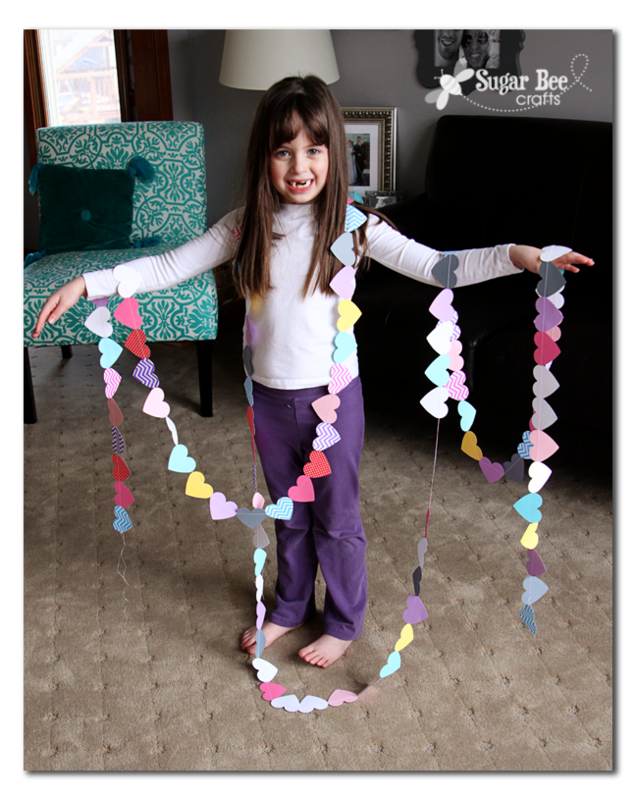 It turned out so cute and was a super easy project that she could see immediate progress on as she punched the hearts. 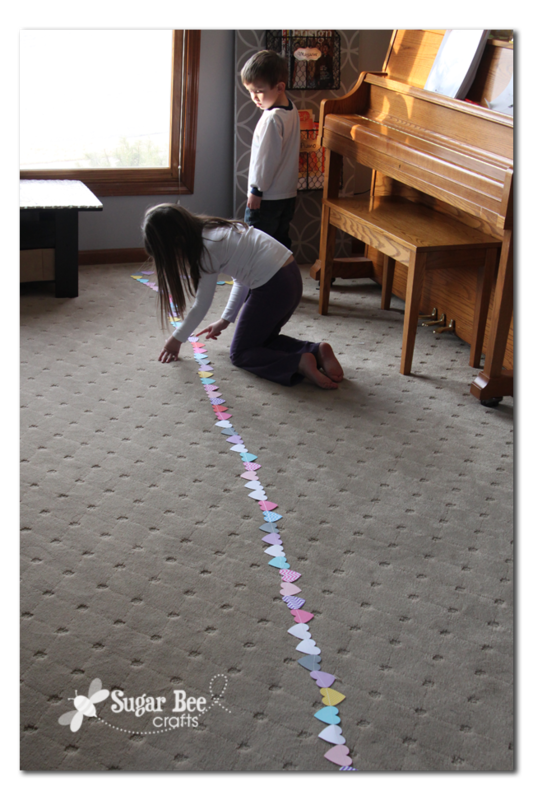 To help her know that she had 100 hearts, we broke it down to make it easy. She punched 10 hearts out of 10 different pieces of paper. So she had 10 piles of 10. She counted again at the end to be sure it was 100. You have a couple of different options for assembling the hearts into a garland, sewing or gluing. 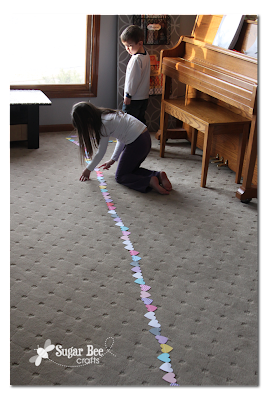 We sewed the hearts into a strip. YES, you can use your sewing machine to sew paper – its super easy! She helped by handing or placing each heart and I helped guide them through the sewing machine. Another option is to lay out a long piece of twine and then run a line of glue along the backside of each heart. Then place the twine over the heart in the line of glue. She plans on giving to her teacher to use for classroom decor after the projects are over – so fun! —100 Days Cat Shirt – love the glitter cat on this one! Crocheted Slippers – with roundup! Love the garland and I LOVE that sweet smile! Your daughter is darling posing with her garland… and love the garland idea… I miss the days of elementary school and counting 100 days in 🙂 Enjoy these days! It seems as if you are Mandy 🙂 Kathi P. S. Love the 100 day heart too!